So much of Christmas is based on tradition and not scripture. In this final part of our 3-part study, pastor Barry looks at some of the staggering prophecies that were fulfilled when Jesus was born. We all like to be prepared for Christmas, to make sure everything is just right. Well, God spent 4000 years getting ready for the first Christmas. There was much to arrange, but everything had to be right! Did you know that there weren’t 3 kings with 3 gifts? There were actually a multitude of Persian king-makers who descended on Jerusalem at one of the most politically volatile times in Roman history. Matthew tells us that the whole city was shaken and troubled! Also, you know that star you see above a stable on those Christmas cards? It was never there! There was a star, it was a supernatural sign, but it led the Magi to Nazareth – that is in the completely opposite direction! There things tradition as blinded us to! May you be blessed, challenged and encouraged by this study. 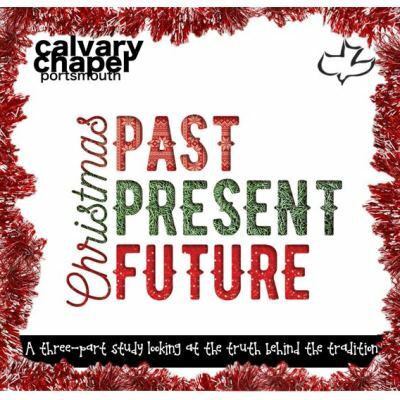 Happy Christmas from Calvary Chapel Portsmouth!